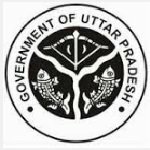 UPSESSB Lecturer recruitment 2016-17 notification apply for 1344 posts : Uttar Pradesh Secondary Education service selection Board (UPSESSB) Lucknow welcomes application for the position of 1344 Lecturer (Post – graduate teacher) vacancies in various subjects. Candidates who completed their post – Graduate is a good opportunity.The individuals who are the occupation seekers searching for govt employments in Uttar Pradesh this is the best chance to apply. Competitors read the official notification then read all the guidelines and miners precisely then apply before the last date online application got. All the interested and eligible candidates can apply online before 27th July 2016. Closing date for receipt of application fee is 27th July 2016.